From the moment we got out of our taxi we were made to feel welcome, essentials in the fridge, Breakfast snacks in the middle of the week and a going home present, As well as a goodbye meeting with the owner Poppy. Room was Spotless and towels and bedding change every 2 days. The host Popi was fantastic. Excellent English and was so helpful. She made us fantastic bakes and cakes which she left in our room. As a leaving present we also received her own olive oil and a bottle of her own type of brandy. The apartment was absolutely spotless and was cleaned every other day with clean towels etc. The location was just off the main street of Elounda and was really quiet but only two minutes walk to all the shops and restaurants and three minutes to a lovely beach. Ideal location... Also no noisy clubs or bars playing music. 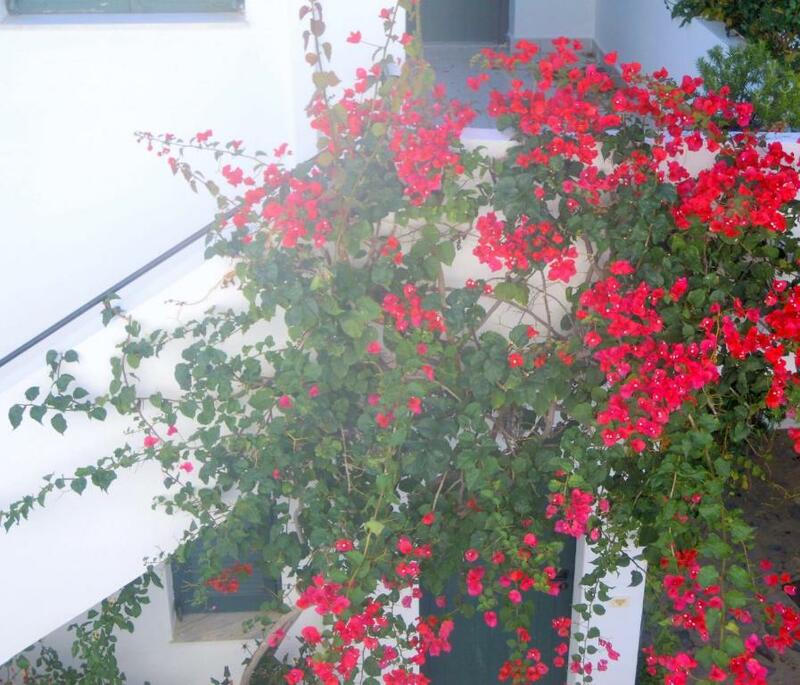 The apartment was lovely,it was small but tastefully decorated.It contained everything you needed : hairdryer,microwave , toaster etc.It was spotlessly clean and was very close to Elounda centre and beach. Poppy the owner of the apartments was friendly and a perfect host. She greeted us on our arrival even though it was about 11 o'clock at night. She was always available for help and advice. She was extremely kind and throughout our holiday she made us cakes,pies and even made us cookies for the plane journey home as well as giving us some olive oil and raki as a small parting gift.Excellent hospitality which enhanced our holiday in beautiful Elounda. Popi is the perfect hostess. She is a warm, generous lady and made sure we enjoyed our stay. 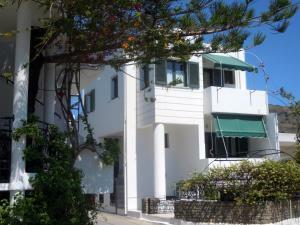 We had a ground floor apartment which was immaculate, clean and well furnished. The apartments are in a great location a few minutes walk from the centre of town and the beach and close to local shops for fresh local food and provisions. Highly recommended. Lovely touches to coordinate the room Comfy beds Well equipped kitchen Cakes baked by the owner. Quiet place, very clean, in walking distance to everything needed. The hosts are such wonderful people and very competent. They make all efforts that you feel at home and are very succefully in this. The apartments were perfect! They had everything we needed and more. In particular the balcony, the room was super clean and perfect size. The apartments are excellently located, 2-3 minute walk to beach and 1-2 minute walk to local places to eat, shop and drink. There is an excellent selection of bars and restaurants for all ages and needs. Despite being in walking distance to everything we needed, the location of the apartments are set back, meaning the area is quiet and safe. Perfect for couples, single people and families. There was a real Greek welcome on arrival with my name on the office door to show me where to go to check in. The room had everything you would expect with a cooker, fridge, toaster - air conditioning and very fast free internet access. The apartment was the best we'd ever stayed in in Greece with little extras to make it feel more homely. 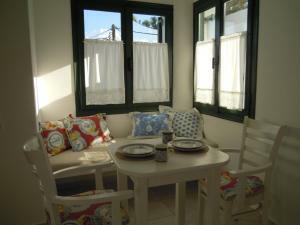 It is very near the shops, tavernas and the beach yet tucked away in a side street so it was quiet too. Popi, the owner, who lived in one of the apartments was so kind and helpful, even surprising us some days with home made local delicacies! 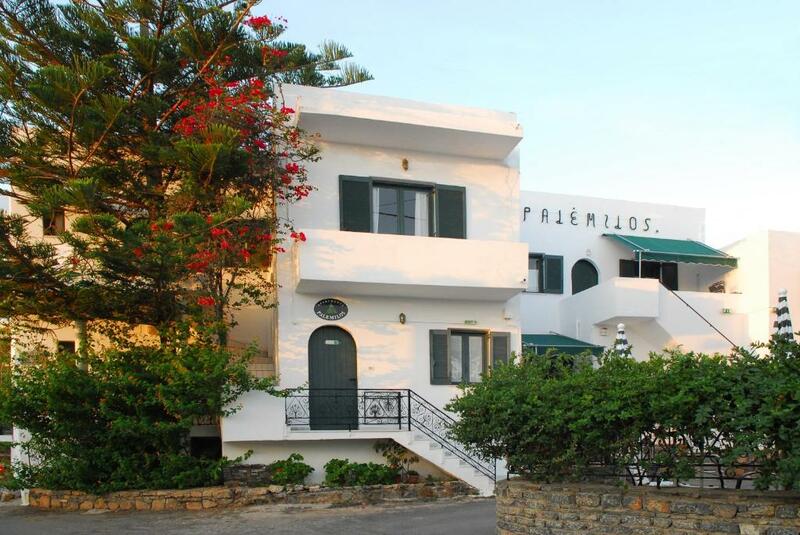 Lock in a great price for Palemilos Apartments – rated 9.6 by recent guests! Palemilos Apartments is located in quiet surroundings only 350 feet from the center of Elounda, and 650 feet from the sandy beach. All air-conditioned units have a balcony and free Wi-Fi. The homely apartments and studios have a well-equipped kitchen with utensils, fridge, and coffee and tea maker. They include a TV and have views to the surrounding mountains, the town, and the garden . All kinds of taverns, shops, agencies, taxi and bus stations are within a few minutes reach. From the little port nearby guests can visit the famous island of Spinalonga. 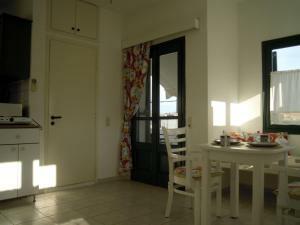 뀐 Located in the top-rated area in Elounda, this property has an excellent location score of 9.7! When would you like to stay at Palemilos Apartments? This spacious apartment consists of a separate bedroom with a large bed, a living/dining room with 2 single corner beds and a well-equipped kitchenette. Each apartment has either a veranda or balcony. Air conditioning and ceiling fans are provided. 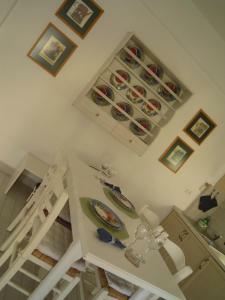 This apartment may accommodate up to 2 children of up to 16 years (0-2 years old stay free of charge). If you need a baby cot, please let the property know by the time you make your booking. This apartment has a double bedroom, an open-plan sitting room with 2 single beds and a well-equipped kitchenette.Each apartment has a furnished balcony. Air conditioning and ceiling fans are provided. The studio is consisted of of an open-plan sleeping/living area. There is 1 double bed, alongside a sitting area with a fully equipped kitchenette. Each studio opens to a furnished balcony. Air conditioning and ceiling fans are provided. Kindly note that this studio is exclusively for 2 and cannot accommodate a third guest or baby. Consists of a separate bedroom with a large bed, a living/dining room with 2 single corner beds and a well-equipped kitchen. Each apartment has balcony. Air conditioning and ceiling fans are provided. This apartment can accommodate an extra guest up to 16 years old. Children up to 2 years old stay in the room free of charge. This apartment can accommodate up to 3 guests. This apartment includes a seating area with a single sofa bed and a separate bedroom with a large double bed. It also has a fully equipped kitchen with dining area.It opens to a furnished balcony. Air conditioning and ceiling fans are provided. Please note that this apartment can accommodate up to 2 guests. House Rules Palemilos Apartments takes special requests – add in the next step! Palemilos Apartments accepts these cards and reserves the right to temporarily hold an amount prior to arrival. Please inform Palemilos Apartments of your expected arrival time in advance. You can use the Special Requests box when booking, or contact the property directly using the contact details in your confirmation. For the money, I thought the apartment was rather small and basic but was adequate. There was only Greek television which normally is not a problem with on a cloudy day and cold evening, it would have been good to have something to do, If I revisited, I would take my laptop to watch downloads. (Wifi was good). Could also do with a chest of drawers to put clothes in (there was lots of room for one) rather than scrabbling about in our suitcases for everything. We visited Popi and her wonderful Palemilos Apartments for the second time and the experience was, once more, fantastic. We stayed in the same apartment as before, which was freshly renovated, and we were very happy to find an upgraded and fast WiFi, which added to the overall awesomeness of the experience. And we were happily once again treated with Popi's ultra-tasty recipes :) This really starts to feel like home! We liked everything about Popi and Palemilos. We couldn't recommend it enough. The room was a little on the small side and the bed was in an alcove such that you had to crawl in from the end. The bed was comfortable enough but it was a bit disconcerting not having a table or light at the side. There was no space to park at the rooms so the car has to be parked by the beach which is a few minutes walk away. 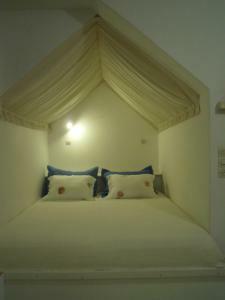 The large bed was extremely comfortable which ensured a great night's sleep. The apartment was very well equipped and clean. Poppy our hostess was such a lovely lady and very helpful during our stay. 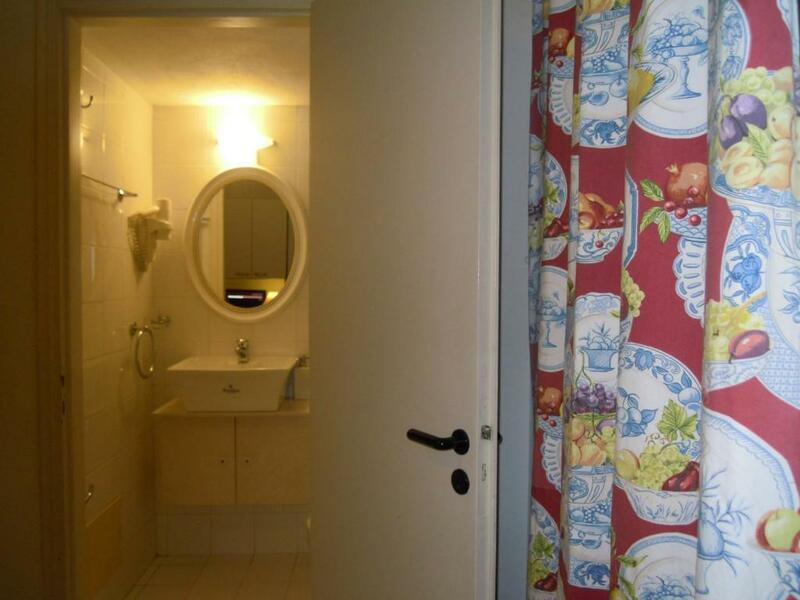 Very nice, clean and comfartable apartment with thoughtful design and well equipped kitchen. I guess it has everything you may need during your stay and even a little bit more)). Probably just the bathroom could be a bit bigger... but you get used to it on the second day. Great location in a quiet place, and at athe same time close to the beach, restaurants, shops, bus/taxi stop etc. And above all else, hospitality of Popi and Sofia (apartment hosts) is beyond compare. They treat customers as their personal guests. Being unobtrusive, they are always available and very helpful if you need something. 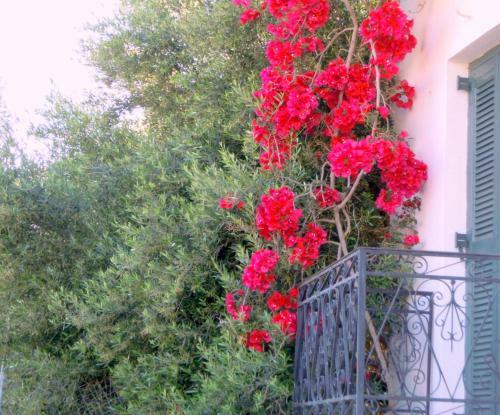 If you dream of a carefree vacation in Elounda, the Palemilos Apartments is the right place for it! Having to go home! No faults, cant think of a single thing. Popi was there to greet me when I arrived in the wee small hours of the morning and had thoughtfully left a platter of nibbles in my fridge for me after my long journey. The room was very clean, fresh, calm colours of cream/sage green with a mix of modern and traditional & had air conditioning which was a blessing. Popi was very helpful at recommending restaurants, places to visit, provided bus timetables etc. She was a very attentive, friendly hostess, and her homebaking treats were a lovely touch too. You would not get this treatment from a standard hotel. There was an instance where I had 'scooter' trouble & Popi called the company on my behalf, they were there within 5 minutes! (Turned out it was a blonde moment on my part & not scooter fault) but the fact is, Popi took the stress away from me and dealt with it immediately on my behalf. It's hard to believe that the apartment is just a two minute (or less) walk from the main square/marina. It was very quietly situated given its proximity to everything. There is no pool at these apartments, but the beach is less than a 5 minute walk (if thats your thing). This was the first time I have travelled solo and Popi made my experience even easier. But this was not just to me, she was as kind, thoughtful & helpful to all of her guests. I had a late departure flight & this again was not a problem to Popi. On my checkout day, I was moved to another apartment, which was equally as lovely, and all of this was done at no extra charge. In short, if you are after a little bit of Greek authenticity, I cannot recommend this place highly enough.